You can adapt this suggested route as you wish, perhaps spending more time in the mountains biking and hiking, or perhaps by the lakes swimming and kayaking. You select your own campsites – in high season you’re advised to book these early, but outside of peak times you can usually leave yourself with the flexibility to adapt your itinerary as you go. 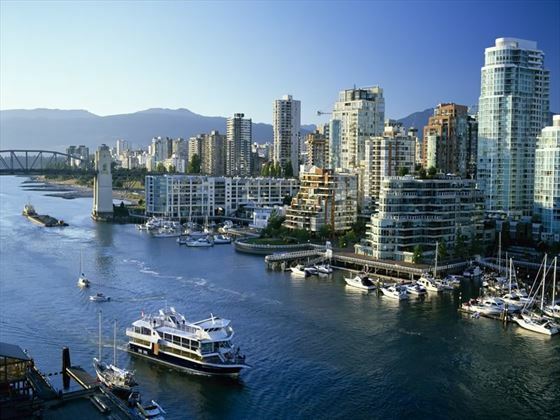 Arrive in Vancouver and check into the airport hotel for a relaxing night before your road trip. 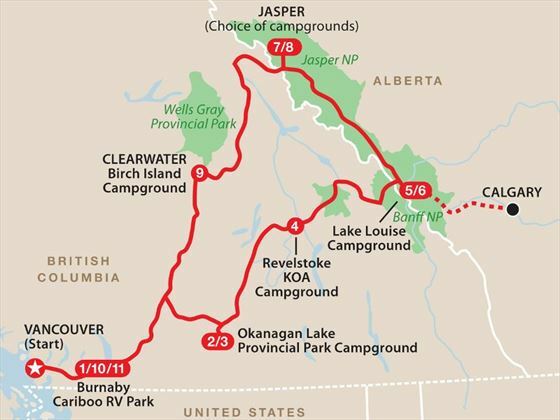 After picking up your motorhome in Vancouver, take the short drive out to a convenient RV campsite for the night. 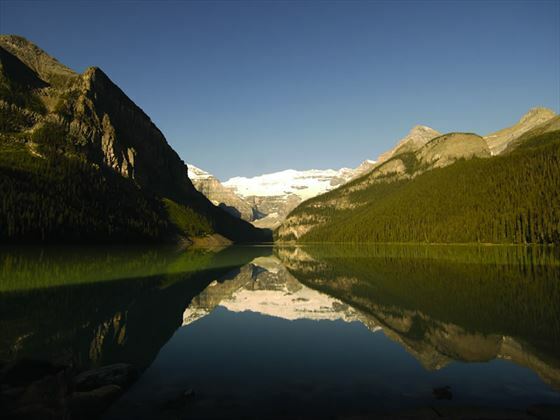 Enjoy long but scenic drive to the beautiful Okanagan Lake Provincial Park. 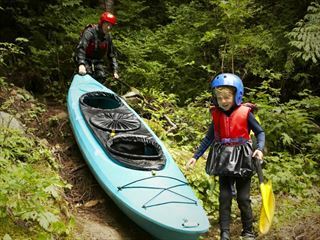 There are a wealth of sights and activities in this stunning park – from vineyards to hot springs, from swimming to kayaking. You can relax by the beautiful beaches surrounded by ponderosa pines and sagebush. A shorter drive today with more opportunities to visit vineyards and indulge in some wine-tasting. 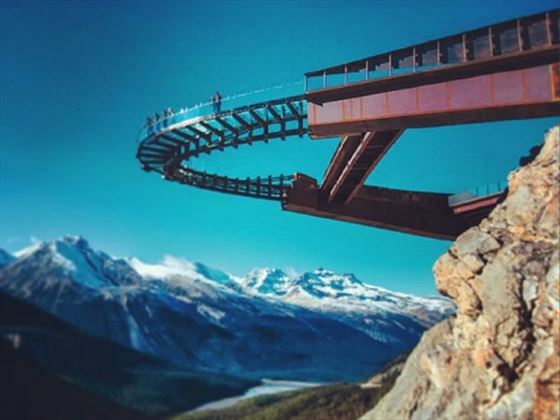 Your destination today is Revelstoke, nestled high in the Monashee Mountains and adjacent to both Mount Revelstoke National Park and Glacier National Park, where you will find some of most spectacular scenery in North America. 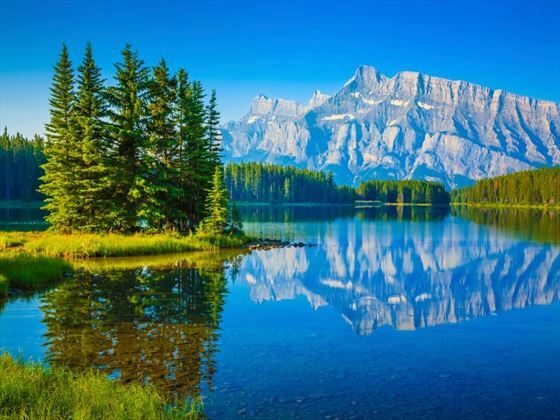 A three hour picturesque drive will find you in Lake Louise – perhaps Canada’s most iconic National Park and certainly one of the most photographed. Visit the Kicking Horse River where it flows below the Natural Bridge in Yoho National Park. Enjoy a meal at Banff Springs Hotel and take in the spectacular view. Take a trip on a gondola to Sulphur Mountain and enjoy a soothing soak in Banff Hot Springs. The road to Jasper is spectacular, framed by peaks over 12,000 feet, and take time to ride out onto the glacier aboard an Ice Explorer. 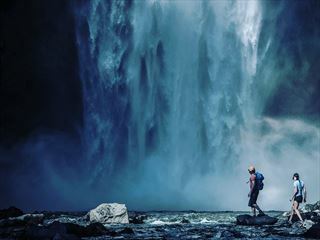 There are several campsites to choose from in this region – choose either a full-service facility or one of the more rustic sites to get up close to nature. 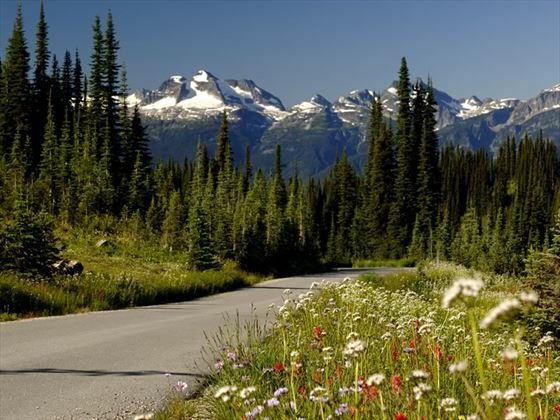 Drive through the magnificent scenery running alongside Wells Gray Provincial Park and the Columbia Mountains. 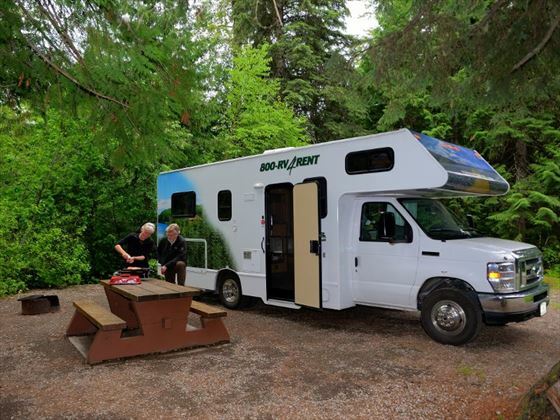 The Birch Island Campsite is convenient place to stop in this beautiful region, located to the south of the park en route back to Vancouver. 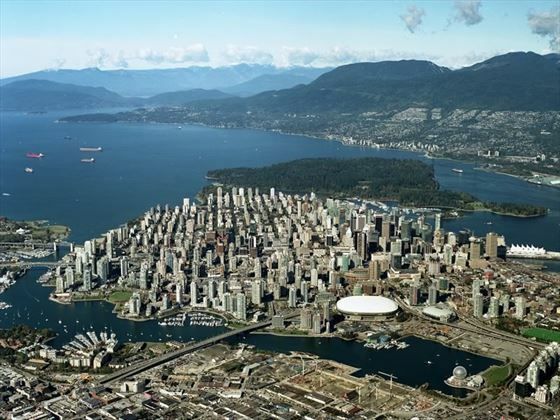 Drive back to Vancouver, perhaps returning to the Burnaby Cariboo campsite, to give you chance to explore the vibrant city of Vancouver and its beautiful surrounds. 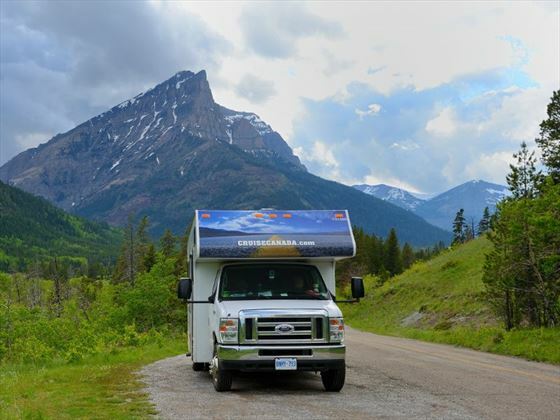 Driving through British Columbia's incredible sceneries in a motorhome is one of our favourite ways to explore Canada's west. 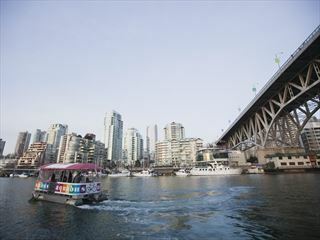 Take a look at our BC by motorhome guide for some travel inspiration.